Japantag: Sushi, espargel & flowers!!! Today I am gonna start saying thank you. Thanks to the ones who were here, thank you for remember it, thank you for my new garden, for taking the train to stay here with me, for the surprises, for the dinners and for this last-minute super present. Thanx for being there (here or in the distance), thanks to you I can say I am a lucky person. Thank you for this month (it did not finish yet) and for these last four days. Four amazing days which revolved around flowers and sushi. 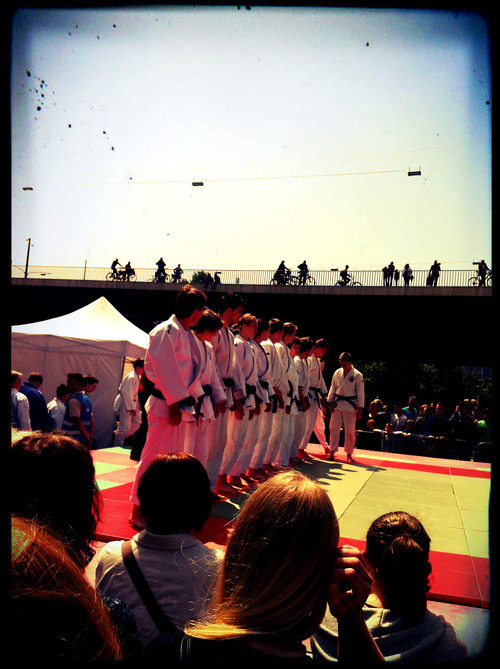 Because, although we started our japanese party earlier, last Saturday was the official “Japantag” here in Düsseldorf. The largest Japanese community of Europe is settled in Düsseldorf, since 11.000 japanese citizens live in this city. The most known Japanese area, located between Oststrasse and Immerstrasse, is called “Little Tokyo”. This quarter is full of japanese restaurants where you can eat sushi, miso soup, sashimi… All the specialities from the Land of the Rising Sun. So, I find quite appropriate that germans dedicate a day for them and its culture. Manga is part of Japanese culture, so it was also easy to find people wearing japanese costumes during the whole day all around the city. The Altstadt was full of stands where it was possible to buy japanese products, to check how to do “Origami” o to learn how to write Japanese characters. There was also a scenario where they played traditional japanese music, and another one where some people did different Sumo, Judo and Karate exhibitions. And, of course, there were many stands where it was possible to buy traditional japanese food. At 23.00 the “Japantag” ended with some spectacular fireworks. But sushi was not the only dish we ate last weekend. During this time of the year it is traditional, in this part of Germany, to eat asparagus. 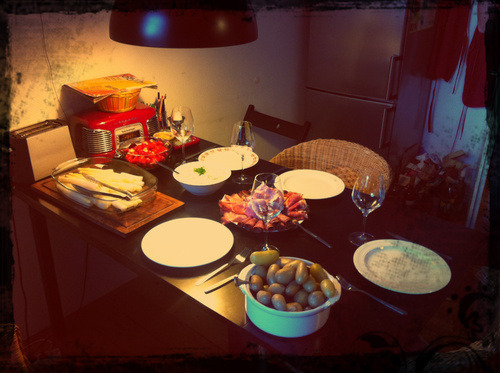 Therefore, we also had time to finish the weekend enjoying a delicious traditional German dinner.